Here at Trojan Sewing Machines Great Britain we are selling industrial sewing machine parts for the brother sewing machine range. Some of the product parts that we have are; Movable and stationary knifes, Bench Rubbers, Feed Dogs, Needle plates, both for light weight work and heavy duty work. Complete service kits, to give your machine a new lease of life. Corner Rubbers, Bobbin Cases with anti spin springs. Bobbins, both steel and aluminium. Schmetz needles in all sizes. Complete tension units Hooks & Bases, oil. Many different types of presser feet. Plus lots more product parts to choose from. 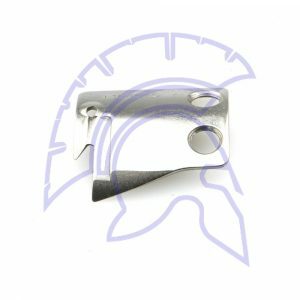 All of the products and product parts that we sell at Trojan Sewing Machines are of the highest possible quality and are always fairly priced based on the quality. Be sure to browse the other various sewing machine parts today. Two way thread / cotton stand. Tubular Stand drilled though any wooden table top, with clamping nuts to fix into place. 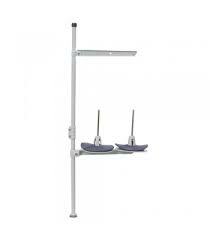 This is the Basic industry standard, Sewing Machine two thread cotton stand. Used for all Lockstitch machines. 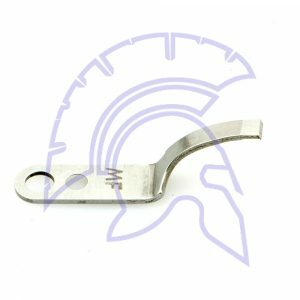 The sewing machine head hinge 143882-001 sits in the rubber cushion to help eliminate vibration & is the industry standard. Trojan Top & Bottom Feed Walking Foot Lockstitch Machine.Model GC0318-1is a Top & Bottom Feed Lockstitch (without Needle Feed) used for Sewing Plastics,Leather and Bulky Work where the Extra Feed helps prevent ‘Ply Shifting’ and Sticking. This sewing Machine is Fitted with Large Capacity Rotary Hook Assemblies and offer Long Stitch Capability (upto7mm). The head cushion’s sit in the four corners of the hole cut out of the sewing machine bench for the head to sit in. They sit between the drip tray and the sewing head to help reduce vibration & minimise operating noise. 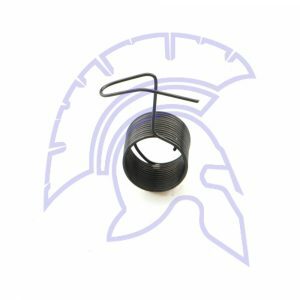 Trojan Sewing Machines Supply Equivalent Plain Sewer Lockstitch Machines. Model’s Jack fully Electronic A4 & A4-7H, Jack JK-9100BS-7 and JK-609C. All with modern designs and the latest technology. All competitively priced. Thank You for your interest in our Rotary Hooks, Bobbin Cases and Bobbin products. We hold from stock parts for most common makes like BROTHER, JUKI, HIGHLEAD, TOYOTA, Typical, SINGER & PFAFF. Also known under part number B04004. The Brother 117132-001 is the industry standard anti spin bobbin for most plain sewer sewing machine and is the bobbin you use day in day out on your machine. Your bobbin is not filling any more. You can easily replace it, and your bobbin winder will work again. 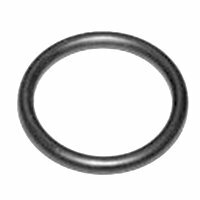 This Check Spring is used widely though out the industry. Especially on Brother Drop Feed walking foot machines. Is the knife that moves across the sewing thread and closes with the stationary knife to cut the thread. If either the movable or stationary knives are blunt this leads to the thread not being cut cleanly or thread jumping out of the needle when you trim off. We recommend that you change both knives. 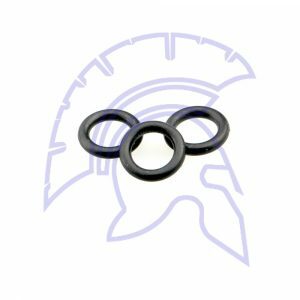 Oil drain screw rubber o-ring for brother lockstitch machines. Is the fixed knife that the movable knife closes with to cut the thread. At Trojan Sewing Machines we recommend you change the knives as a set. It will make the trimming of the cotton more reliable. 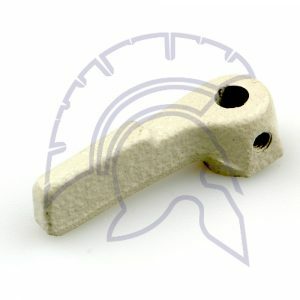 This is just a selection of our most popular parts, we hold many more. 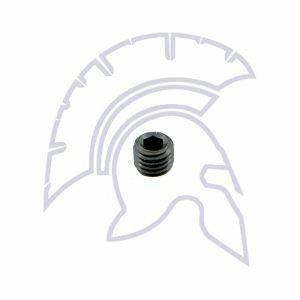 So if the part you need is not shown or you are unsure of what you need, see the Parts Book or Call Us and we will be delighted to help.